In Argentina exports have been the source of economic growth. The country is considered to be one of the greatest food-producing and food-exporting nations of the world. Agriculture and animal husbandry have traditionally supplied the country with 70–95% of its export earnings. Agricultural products accounted for 41% of exports by value. Wheat is the leading crop. During the 90’s the country was the world's fifth-leading wheat exporter. The province of Mendoza is the center for Argentina’s vineyards. The country is one of the world's leading wine producers. Growth in international trade has been one of the key factors driving the Argentine economy. Another effort made by the country to attract foreign trade is the establishment of free trade zones. There are 3 large zones and a number of minor areas. The largest of these is the La Plata Free Trade Zone. As it has been already mentioned above, Argentina exports mainly agricultural products. For instance, cereals, beef and related products, dairy products as well as fats and oils make up 36 percent of total exports. Other exports include: motor vehicles and parts, chemicals, crude oil and fuels and base metals and glassware. Argentina’s main export partners are: Brazil (21 percent of total exports), China, Chile, United States and Spain. Others include: Netherlands, Uruguay, Italy and Venezuela. Are you an exporter from Argentina seeking for global buyers? Export Portal is an international export import source that you help you to connect with buyers, agents, resellers and distributors all over the world. Argentina is the one of the major exporter of agricultural products, holding the third place in soy exports. The manufacturing exports have been boosted by car exports to Brazil. And what about the imports? The top 5 import products of the country are motor vehicles, petroleum gas, auto parts, refined petroleum and telephones. The country's large scale imports also include: computers, broadcasting accessories, iron ore and pesticides. Argentina's main trading partners are Brazil and China for both imports and exports. The country imports heavily from the US, Germany, Mexico, Trinidad and Tobago, Bolivia, France, Italy and Japan. Imports of luxury cars have caused trade imbalances in the country in the last few years. This forced the government to restrict them. In 2011, car importers were required to provide an export of equal value, forcing many companies to get into new industries such as processed rice and soy flour. In 2014 further restrictions were placed on the import of vehicles by the government. Auto manufacturers who build a model of car in Argentina, such as Toyota, are exempt from these restrictions. 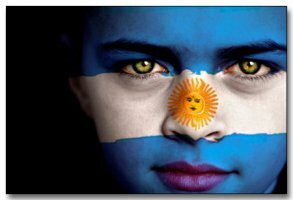 Want to export/import your products to Argentina? Have a look at the Export Portal website, and search the one of the world's largest database of international trade! Computer Cleaners on Export Portal are the practical and useful products that every computer and its accessory needs. Sell Computer Cleaners online for screens, keyboards, system units, mouses, touchbars and printers. Buy Computer Cleaners online from the variety of simple handckerchiefs till specialised brushes. Export Portal provides you both with the opportunity to sell your products using the variety of features and buy using from variety of possibilities. Argentina is a country situated in the South America, bordered by Bolivia, Paraguay, Brazil, Uruguay, South Atlantic Ocean, Chile and the Drake Passage. 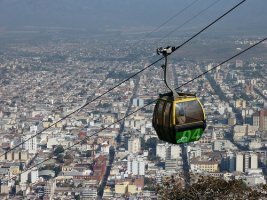 It is a federal republic, the 22nd largest world economy and the second largest economy in South America. Argentina is a member of various international organizations: the United Nations, World Bank, WTO, Mercosur, Union of South American Nations, Community of Latin American and Caribbean States and the Organization of Ibero-American States. - the transport documents and packing list. It is prohibited to export cultural artifacts, and specimens of flora and fauna which are threatened with extinction. It may also be temporarily prohibited to export certain products when there is a shortage for the domestic market: meat, dairy produce, wheat, corn, etc. Some agricultural products are taxed from 6% to 34% in the context of soya. 40% in energy. Movement of goods within Mercosur is free except restrictions. To leave Mercosur (a sub-regional bloc compromsing Argentina, Brazil, Paraguay, Uruguay and enezuela), Customs clearance is necessary. The Customs clearance office checks the export declaration. The Customs declaration must contain information on the origin of the goods, the Customs tariff and Customs valuation of the goods.